Sometimes the person may be feeling that his heart freezes. Such heart rhythm abnormalities are observed in many healthy people, but mostly this symptom is seen when heart disease, arrhythmia, syndrome of weakness of sinus node. Often heart-stopping are one of the symptoms of such pathology, as a syndrome of weakness of sinus node. In this case, they are also accompanied by dizziness, staggering, blackouts, confusion, presyncope conditions, fainting, loss of consciousness may be accompanied by convulsions. The patient also experiencing fatigue, constant fatigue, very low performance, low pulse, followed by a rapid heartbeat. In some cases, interruptions in the rhythm of heart are perceived as pain. The reason of this pathology may be residecny: such feelings a person can experience when problems with the spine, with the thyroid gland, intercostal neuralgia. In women, heart-stopping can be caused by a disruption of the ovaries with changes in hormonal levels. When the sensations of heart-stopping it is necessary to consult at the doctor-therapist. The therapist must perform a General examination of the body and to give direction to the electrocardiogram. You also need to be diagnosed by the method of Holter (daily monitoring). With this method, a comparison of heart rate in normal circumstances. The patient must wear during the day, a small device that will not interfere with day-to-day Affairs. You should also during this time to monitor your blood pressure because the heart rhythm may be disturbed due to hypertension. According to research results, the therapist must refer the patient to a more narrow specialist – a cardiologist, a neurologist, gynecologist. After determining the cause of bated breath, you need to try to fix it: cure neuralgia, spine, normalize hormones. 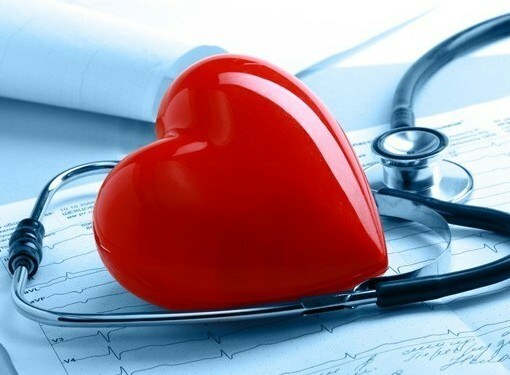 For heart disease medications are selected depending on how frequently the observed fading. During outages several times a day should drink a course of medicines prescribed by the cardiologist. Need to lead a healthy lifestyle, and try to avoid unnecessary stress because often heart-stopping appear from stress or fatigue. With frequent fading, may need surgery. Surgery is performed if the interruption follow one another, or appear close to the main rhythm. Surgery is necessary if the fading heart, the patient is almost unconscious. The process is simple surgery, the doctors examine the heart by using the computer equipment to search for places where the rhythm is disturbed. Then it is exposed to laser, radio waves or low temperature. After surgery, the paralysis will disappear.